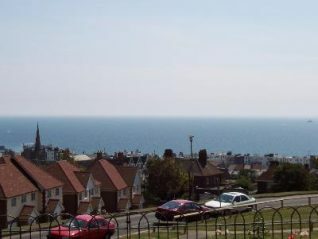 The Bristol Estate is perched high above Brighton between the Downs and the sea with stunning views of land and sea. 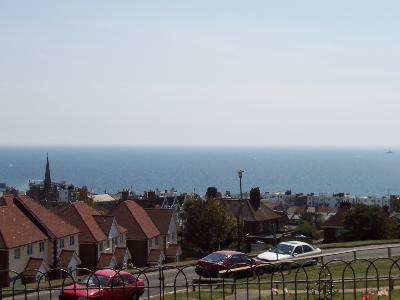 It was built in post war Britain to a cutting edge design of tower blocks and low rise flats. There were no houses on the development, but lots of nice green space. The first resident moved into Donald Hall Road in 1957, and a number of people have lived on the estate for nearly 50 years. The Bristol Estate looks a little tired and neglected now and the residents have learnt that nobody seems to care. The Estate is too far to the west to belong to eb4u and too far to the east for the central area to take notice. Having a high proportion of over 65’s, single parent families and the unemployed, help was needed. Living on a very steep hill with one small shop and an underused community room was no fun. If you wanted to go to the doctor, dentist or really any facility, you have to go down the hills. Then the bus company took away our No.7a, which ran every 7 minutes (Marina to George St, Hove) and replaced it with a bus every 30 minutes (from the Estate to Churchill Square). In the last twelve months things have started to happen. From the launch of a Neighbourhood Action Plan a Community Association was born and suddenly the Bristol Estate had a voice. We have not got our full bus service back, but we have now got three buses an hour to Brighton Station. The community room has been reborn (soon to be redecorated) with a Parent and toddler group, an after school Kids Club as well as the Social Club, two nights a week. There have been first aid classes, food hygiene classes and computing for beginners. This is just the start; Tai Chi is next on the list and maybe line dancing. Residents are taking a pride in their homes, with gardening in the communal areas and a community mosaic on a blank wall of the community room. There is a long way to go but with hard work, good luck and a lot of help from residents the Bristol Estate will be the place to live. If anyone has any stories or photo’s of Bristol Estate in the early days they could be used in a proposed book or website to celebrate the Golden Jubilee of the Estate in 2007. I grew up on Bristol Estate and have many fond memories of my time there. My grandparents and parents lived there since the early 70’s and I moved away from the area in the mid 90’s. It was only in the last few years that things started to go down hill. I think the Bristol Estate has found a new way of communicating. The children have more things to do with the kids club going on and now with the weekly newsletter people know what other things there are to do. All my family are from the estate; my mother and her sister was born in Maresfied Road to Maurice(Cocker)Taylor and Lillian Taylor. They then moved to Donald Hall Road. I have many fond memories of growing up around that area. It used to be a close community. I moved to Donald Hall Road with my parents around 1957. Our flat had a coal fire and also a balcony – quite posh in those days! We used to keep our cycles in a shed on the other side of the road and we were known as ‘the cycling family’. I used to ride my bike up Abbey Road in those days. Got a job, so drive up it now! I also lived on the Bristol estate. My Grandmother and Father lived there for many years from the early sixties. I have lovely memories of growing up there as a child, and having many friends. I moved from there in 1977.